Commercial Real Estate Located in Carrollwood, Tampa, North of Fletcher Avenue and South of Ehrlich on the East side of North Dale Mabry Highway. 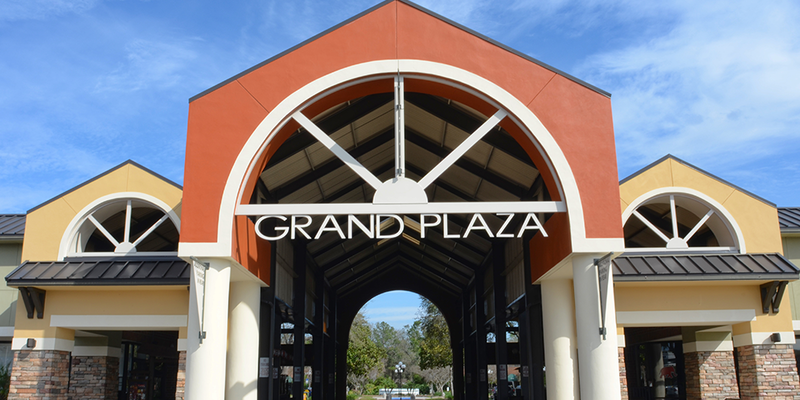 Grand Plaza is anchored by GrillSmiths, Kobe Japanese Steakhouse, Pincers Crab Shack & Grill, Glory Days & Eatery, Gymboree, Sprint, and many more fine stores offering services ranging from Restaurants, Boutiques, Medical, Hair & Nails, and many more. Differing from all other centers by having glass entrances in the front and the back of the shops, offering tenants unparalleled exposure. The plaza is located in the center of one of the busiest highways in the Tampa bay area. Within a close proximity to many of North Tampa’s most prestigious neighborhoods. Highly visible with 1500 feet of North Dale Mabry Hwy. frontage. Three (3) entrances on Dale Mabry Hwy.heading North and South bound. Three (3) Breezeways for enjoyable strolling. Reasonable rents and CAM’s for location.